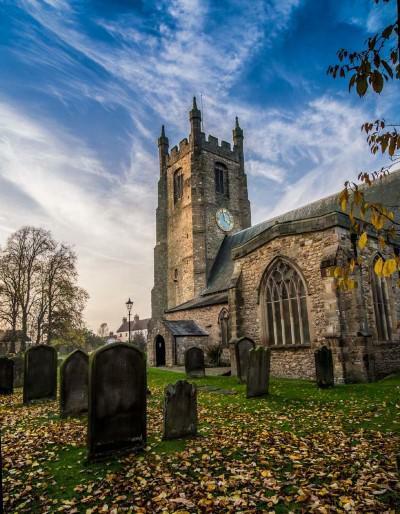 Members of St Edmund’s ancient church in Sedgefield have launched an appeal for funds to help repair the roof of the North Transept which was recently stripped of a large amount of lead by ‘avaricious thieves’. It is not yet clear just how much the restoration work will cost but one estimate puts the figure at around £30,000. Although the North Transept has been made temporarily waterproof, appeal organisers are anxious to make a start on a permanent repair as soon as possible to protect vulnerable 13th century roof timbers. A decision has already been taken not to reclad the roof in lead. Instead, subject to the necessary approvals, the wooden timbers will be covered in a special type of stainless steel which looks much like lead but is not as attractive to thieves. Mr. Mutch – who described those responsible for damaging the roof as ‘avaricious thieves’ – says that the £30,000 repair estimate is based on repair costs to the South Transept roof when lead was stolen in a raid nine years ago. Because of that and the subsequent insurance claim for £23,000, insurers placed a £10000 payout ceiling on any future lead-theft from the building. In the latest twice-in-a-week raids in December, thieves stole all the lead from one side of the North Transept roof. The remaining lead was then removed as a precaution against further theft and more damage to the church. The appeal team says that donations to the appeal have already been received from several local individuals and groups. Further offers of financial help can be sent to Church Treasurer Chris Rowsby at 36 Beaumont Court, Sedgefield, Stockton on Tees, TS21 3AH (tel 01740 621125). Cheques should be made payable to ‘St Edmund’s Church’ and marked ‘Roof Appeal’ on the back. The bank sort code and account number for anyone wishing to make an online payment are 20 82 18 and 90121630 (enter ‘Roof Appeal’ in the reference field). More information about the appeal is available from Michael King on 01740 620910 or Brian Mutch on 01740 622302.